What are management experiences, what all factors do they take in to account and how these factors are prioritised while selecting project management software for SMB ? Having closely interacted with our customers and potential customers, I have seen spectrum of requirements/expectation from online project management software for SMB. Literally! Section of SMBs have very good clarity of ‘what they are really expecting’ and they are so laser focused on specific functionality that it becomes make or break requirement for them. Few other customers are not sure what they are expecting from a project management software; so as they come across tool, they think it can be a good tool to streamline their processes. Considerable amount of customers have fair idea of what they are looking for and based on the marketing material, trial experience and pricing/cost considerations, they make a decision about a specific tool. Is your business or business operation driven by project based methodologies? Do you have about/ more than 10 team members who are working together for project deliverables? You have challenges in team collaboration and knowing exact status of activities that you literally end up having face-to-face meetings or long hours of telconfs? Are you currently managing your business activities using spreadsheets, emails and document sharing way? And the answer they got was – Yes. They wanted to save themselves from lot of hassle, and started looking for RIGHT project management software. Just like our current customers experienced – I’d recommend you to consider following aspects before you jump on to any specific tool. Who are the typical project stakeholders? What are the benefits they’d like to achieve with current project management processes? To what extent– project planning, resource management, various approvals, change management, auditing, risk management, requirement traceability, etc. How many PMP™, PRINCE-2™ certified project managers are working for your organization? What level of project management – planning, delivery/execution experience average project team members has? 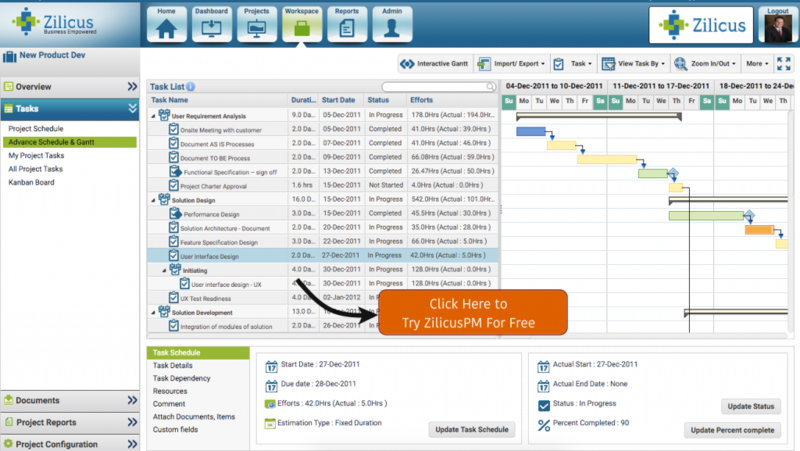 What kind of project management software experience do most stakeholders have? How executive management/ senior managers get involved in project planning, execution and governance? What evaluation metrics have you been tracking for them? You need to figure out answers for these questions. 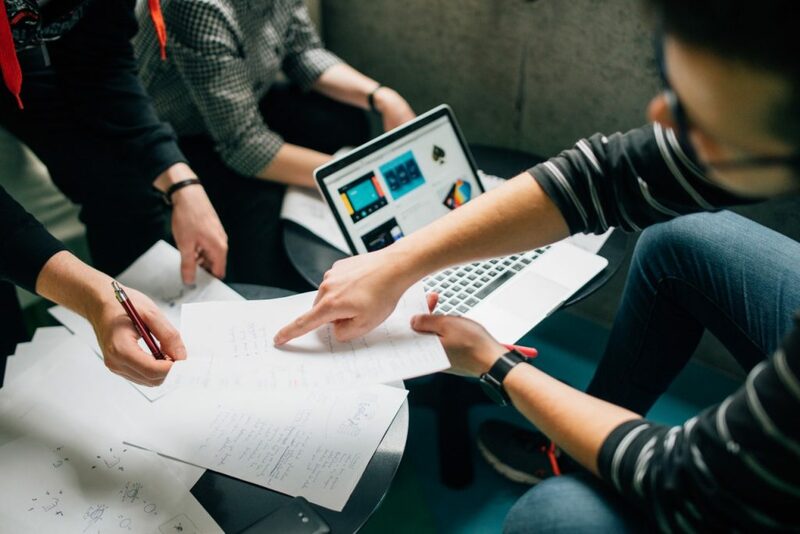 Higher the maturity level of your organization, you need comprehensive tools to manage project management processes; if the maturity level of your organization is basic, you can start with reasonable project planning, tracking and collaboration software. But all things said, we recommend having one central place for all your project management requirements – project planning/ scheduling, tracking progress, timesheet, expenses tracking, document sharing, issue tracking, risk management, online calendar, budgeting and cost management, resource management, etc; instead of having all these discrete systems. You can get a unified and holistic view of project in all these respect. Not-Required expectations/requirements of PM tool. Now create a checklist of these requirements and prioritize this list. Subsequently you can use this checklist to map your requirements with the features of Project Management Software provided by various vendors? Some customers are pretty focused on what kind of project reports and dashboards are available, what information can be extracted and presented to executive/ senior management. During early phase of evaluation of project management software, you need to short list vendors who reasonably meet these requirements. 3. How easily your team members can embrace it? Simplicity and intuitiveness of the tool are factors that professionals look for with equal importance, in a project management tool. 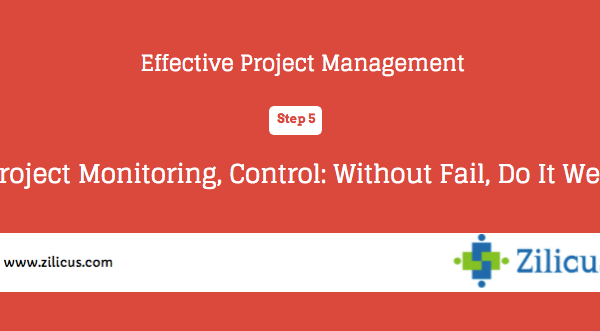 The project management software for SMB HAS TO BE easy and intuitive to use. As SMBs do not have luxury of spending implementation time or training its teams. Ideally one shouldn’t need any external training to use it. It should be quick to get started such that software should do hand-holding for the newbie. Organizations have been investing heavily in IT software and hardware only to realize that it is not giving the desired Return on Investment (RoI). One of the major reasons of failing to generate RoI of these software is, the resources, team members find it hard to use it, and since they don’t use it, there is no right set of information entered in the software, since there is no right set of information entered, executives do not get clear picture of project status. With availability of cloud based software for SMBs, there is a really good opportunity for professionals to try out the software before getting into negotiations. Unlike enterprise software, where organizations’ need to prove that they are worth of buying it, new set of online project management software make it far easier for them. So I would recommend to take trial first, involve team of 4-5 users in the trial itself and make sure that you involve end user who will be using software on a regular basis (mostly team members). 4. Is it flexible, scalable and configurable? Gone are the days when organizations used to invest heavily into IT software and infrastructure. There is always a risk of putting your bets which can turn out to be wrong and causing your organization to have negative RoI. You should be agile in making such investments: start small (small team size), check if it really works, scale it with more number of users, projects, portfolio level; check again If it works for larger users, more dataset, if it works well, scale it to the next level. Thus project management software should be flexible to accommodate your requirements of users, projects, portfolio, etc, allow you to scale it to the next level seamlessly without much efforts, additional cost. The project management software for SMB should also be configurable to their business operations, business requirements, so pay attention while evaluating the software – whether it is configurable enough. 5. Is it secure, reliable, robust and well supported? Another important aspect organizations look for is – how secure, reliable the software is. The security of the software is in terms of different user roles, access permissions, SSL Certificates, policies and processes for infrastructure access, database access. The software should also be robust but that does not mean it will be flawless. Even today, we see Microsoft, Oracle, IBM and all other oldies still keep releasing patches/fixes for their age old software. What is important in all these cases is, the vendor should be well responsive and supportive – that customers should be able to reach vendor easily using multiple channels e.g. customers can contact Zilicus through support portal available within the ZilicusPM application, customers can contact us using support email, reaching your account manager, using twitter or calling us over phone. Also you need to consider – how frequently project management software vendor upgrades its software; so that whenever you ask for new features or report any issues and vendor agrees to facilitate your request, vendor should not make you wait for another year to use the feature. Ideally these should be available to you in next version, next month or so. Customers who have fair idea of what they are expecting and decide to sign up for free trial of the project management software- they end up signing for close evaluation of 4-5 tools. The other set of customers who do not have clear idea, end up signing up for large set of tools (anywhere around 20-40 project management tools). More number of tools evaluation means more amount of time, one need to spend on evaluation, interacting with vendors. Even vendors may not be able to provide clear guidance to such customers because customers themselves do not have much clarity. So it is really advisable to understand your organisation’s goals, processes; next clearly identify and pen down realistic and reasonable requirements that you would like your project management processes to get streamline using project management software; prioritise this requirement list; identify set of project management software providers/ vendors who prima facie can meet your requirements to 80-95 % and then initiate trials, installations, ask for demo, check all necessary features all-by-yourself, check responsiveness of given vendor. Once you are confident of software’s and vendors’ capabilities, you can upgrade software in phases. Time and again it has proven beneficial for both, customers and vendors to have better engagement and ongoing communication – about requirements, expectations (SLA), pricing, preparedness of team, training, product roadmap, issues, etc.